In the market large number of fuel credit cards are available that are specially designed to offer multiple benefits such as discount, cash back, and a waiver on the fuel surcharge as well on fuel. One can make use of fuel credit card and can bring down the cost of fuel expense from the household budget. Why should you opt for a Fuel Credit Card? Fuel cards are the credit card, especially designed to save your money every time when you fill your vehicle at the petrol, diesel and gasoline at gas stations. 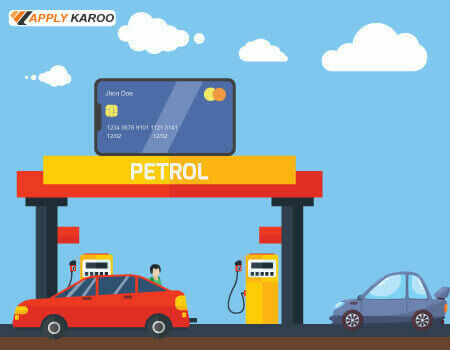 In India, several banks and Non-Banking Financial Companies (NBFCs) have tie-ups with oil companies and offer a co-branded credit card that makes petrol and diesel much lighter on your pocket. For instance, if your bank has a tie up with Indian Oil, then you would get very attractive benefits - including the surcharge waiver or a cash back offer for using your co-branded fuel card when you fill your vehicle at an Indian Oil outlet. For example, Indian Oil Citi Platinum Credit Card offers 4 Turbo Points on every spent of Rs.150 on fuel at partner Indian Oil retail outlets across the country, apart from the usual Turbo points collected for spending on grocery , shopping, dining and much more. One can earn Turbo Points or regular reward points and apart from this can also enjoy extra benefits while redeeming the points for fuel. The reward points can either be redeemed against fuel, which can convert into free fuel, or for other benefits like exclusive goods from a rewards catalogue. Get a fuel surcharge of 2.5% is waived while paying for fuel with the Fuel Credit Card. in order to avail of this benefit there are certain spending limitations, as you need to swipe the card on the Merchant Services swipe machines only. •	As a joining perk, the cardholder will get 250 bonus points. •	On purchasing fuel at IndianOil outlets you can get the benefit of saving 5%. •	Get 4 Turbo Points on every fuel purchase worth Rs. 150 at IndianOil outlets. •	Get 2 Turbo Points on every spent of Rs. 150 on grocery and at supermarkets and 1 Turbo Point on every spent of Rs 150 on shopping, dining and entertainment. •	On spend of more than Rs.10, 000 in one transaction cardholder can receive 4X Turbo Points for every Rs.150 spent. •	Get 30% cash back on International Hotel Bookings on Makemytrip.com. •	On every spent of Rs. 100 cardholder get a benefit of earning 6 PAYBACK Points. •	Get benefit of 2.5% on fuel transaction up to a maximum of Rs. 4,000. •	Get 5% cash back on purchases of fuel at HPCL fuel pumps. •	Can redeem 2000 cash back Points for buying fuel worth Rs. 500. •	Get a discount of Rs 100 on up to two movie tickets purchased from the Bookmyshow.com. •	Earn 5% cash back on fuel spends across all the fuel stations up to a maximum Rs. 200 per month. •	Get 5% cash back on utility bill payments up to a maximum Rs.100 per month. •	Get 1 reward point for every spent of Rs.150 on all other expenses. •	Get 5% cash back on telephone bills payments up to a maximum Rs. 200 per month. •	Get 5x rewards for overseas point-of-sales spends and a complimentary Priority Pass allowing access to 1000 plus airport lounges worldwide with one free usage per month. •	Get 5% cash back on fuel, IRCTC bookings, mobile recharges, and bill payments. •	Get additional 5% cash back on transactions made using SmartBuy and Payzapp. •	No liability on the card in case of card stolen, reissued or lost. •	Get 1% fuel surcharge waiver, on the fuel transaction of least Rs.400 and the maximum cash back will be Rs.250 for every statement cycle. •	The cash back is maintained as reward points, which can later be redeemed. •	The renewal fee is also waived before the renewal date if you had spent Rs.20, 000 in the last year. •	It offers an interest-free period of 50 days from the date of purchase.